Chapter 5 – Fun with water! 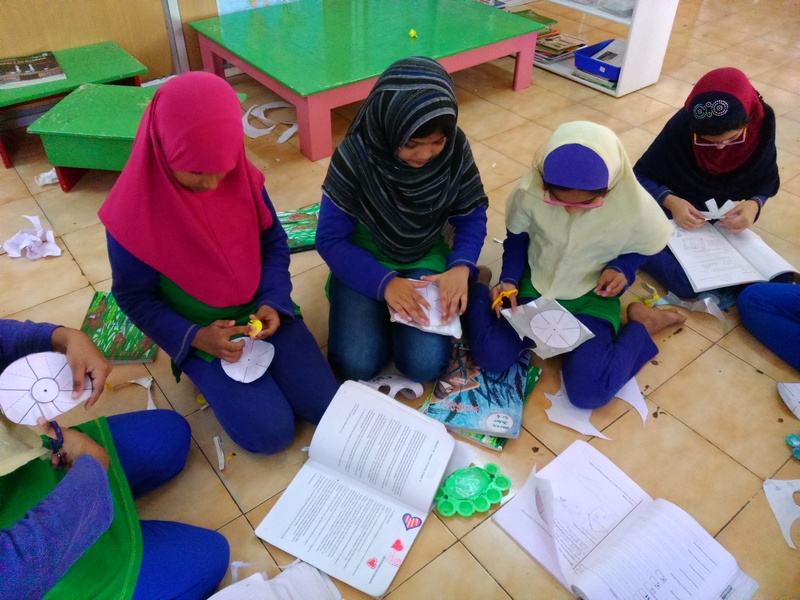 After a long period of erratic classes, we came back on track with our Science classes and started the Chapter, ‘Fun with water!’. It was a really “happening” time for the fourth graders: I must tell this story over three posts. Aunty asked us to take our books and a ruler and go outside. She asked Ameeth to bring three tumblers full of water. We read the textbook to understand what we had to do — it looked like fun — we had to make the water on our ruler move. First, we tried to dip our rulers into the tumblers to get water onto them. Then someone said we can lift a water drop with a finger and put it on the ruler. We tilted our rulers up and down and the water flowed. We moved them side to side to change directions. We increased the slope of the ruler and water flowed even faster. When we made it a gentle slope, water flowed slowly. We blew on the water to make it flow upwards. Mariam observed an interesting fact. She said the water stream flowed faster if the ruler was wet. Hmm! Aunty asked her to test this out — we discussed how Mariam could balance two rulers on an equal number of erasers and then use a dropper to put one drop of water — on a dry scale and on a wet scale. How do we time the water flow? We thought we could see it easily. But Mariam could also use a long scale that the older children use and see if she can time the water flow with a stop watch. Aunty said it was a science fair project. Then Umar noticed that the writing on his scale looked bigger under a water drop. We need to explore that. 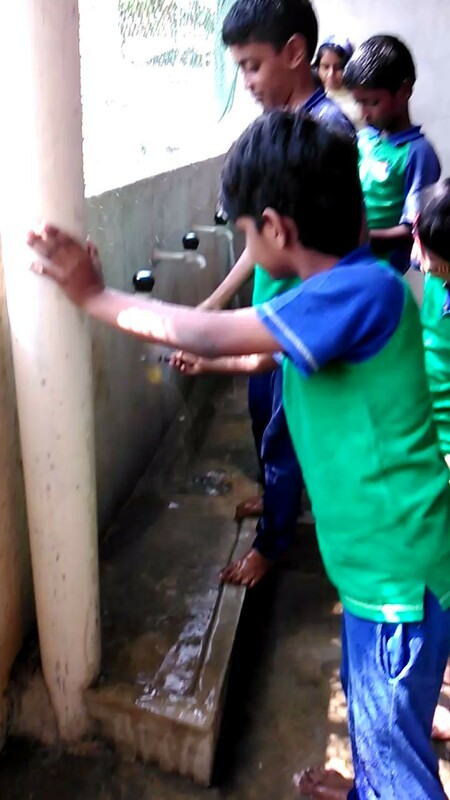 We had a class discussion: Aunty gave us a challenge — How can we make water flow up? At first, we didn’t understand. She asked us how we got water in our houses — all of us said we got it from the tank on the roof. She asked us how the water got there: that’s easy, we use the motor. But what happened before electricity was discovered, when there were no motors to push the water up, she asked. She told us about Indian palaces that had fountains on the 1st floor. 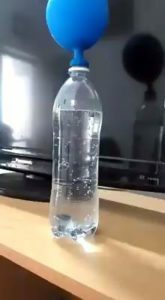 How did they make the water climb? We had some ideas. Someone said we could make water flow into a pipe and block the outlet at the bottom so the water would keep rising. Umar said we could use a bicycle air pump and make the air push the water up. “But wouldn’t the air bubbles come right up?” asked Aunty. “Yes, they would, but they’d bring up water also!” Mariam said, “Just use buckets!” “Or we can use a fan to blow the water up.” But we can’t use electricity. Aunty asked us to think it over. 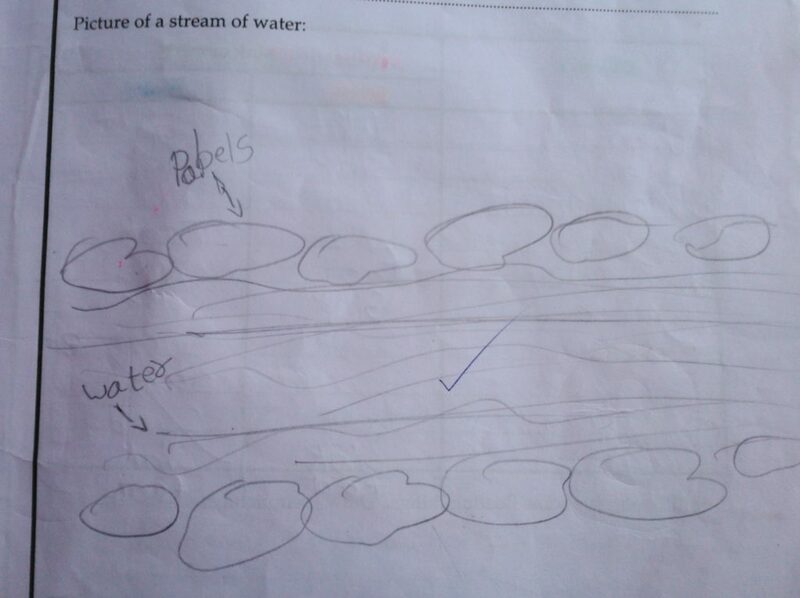 She told us to draw a diagram of whichever machine we invent to push water up. Then we started on the workbook. Where did we see water flow — sewers, rivers, mountains, our bathroom sink, canals, on the road — many places. Anam said she saw water flowing on the window panes when it rains. Some of us didn’t understand the question about making a river flow backwards. Then we got our imagination working. “We could dam it”, said Abdullah. “But wouldn’t the river rise over the dam and continue flowing?” Aunty asked. “How will it go backwards?” Umar said we could use a huge fan and blow on it. Ishal felt dropping a large fish would make a big splash and water would flow backwards. Hasna felt we could use logs and make the water flow in a different direction. Aunty asked her to find out which animal does that. She’s thinking now. Tomorrow we get to drink juice and make a water wheel. Today we got to drink Mango juice for free! Aunty asked us to drink while we discussed why water flows in a certain direction. Mariam said it was the wind that made it flow, but Aunty said there’s no wind in the bathroom: how does the water go to the drain? We thought something else pushes it. But then Abdullah held up his arm and slanted it. “Yes!” exclaimed Aunty — “it’s the slope.” But Safwan said there’s no slope on the road — why does it flow from one end to another? We decided that there’s a mild slope that allows water to flow — on the road or in the bathroom. Sometimes builders get the bathroom slope wrong, and we have to keep sweeping the water into the drain hole. By then we had finished our juice and were ready to make our water wheel. We cut up our juice packs and the picture of the water wheel onto the pack. Then we learned how to fold the flaps down. Some of us didn’t have a water wheel so Rafia Aunty drew one for us on paper and we cut that. 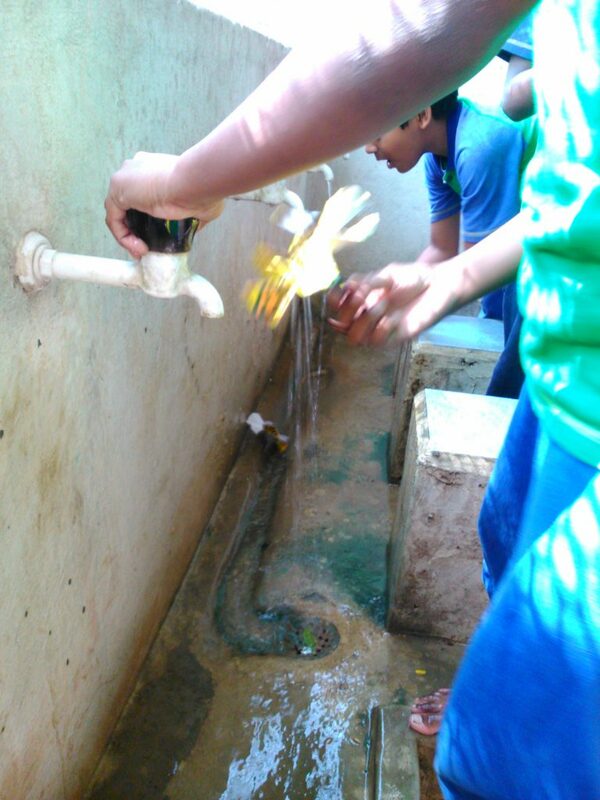 Umar and Safwan were first to finish — they trooped off to the water taps at the back. They put on the tap and water came racing out with a great force — and the wheel spun and spun. Soon it went shooting off the pencil. By then others came. Some people’s pencils were stuck very tightly and the wheel could not move. Aunty slid the pencil up and down to loosen it. Some people found that the glue had not dried and the paper came off the tetrapack. Rafia Aunty said that it didn’t matter. The real wheel was the juice paper. Most of the wheels went shooting off the pencils because the water flowed so fast. Everyone came to watch. Tomorrow Aunty will tell us more about water wheels. We saw some wonderful videos on water wheels today. One video showed how some people installed a water wheel in Sri Lanka and made electricity from it. We asked Aunty — but are they wasting water? Aunty told us that water wheels are installed in running streams or rivers. Sometimes people divert some water through a bend or a pipe to where the water wheel is. Then we saw two videos on how a water wheel pumped water to a height and to a neighbouring field. One of the videos was on Al Jazari’s water wheel. Al Jazari, a scholar, inventor, engineer, craftsperson, artist and mathematician, lived in 12th Century Arabia and wrote ‘The Book of Knowledge of Ingenious Mechanical Devices’. His water wheel was was cool — it used gears and pistons. We remembered how we could pull and push water through the injections syringes in our last chapter. This water wheel did something similar. Then we saw another video of a large water wheel that was used to grind grain and get flour. Another video was on a machine called ‘Archimedes’ Screw’ — where a water wheel was used to turn the screw and pump water up. Today we were scientists. Aunty told us that scientists wonder what will happen, make predictions and only then do the experiment. Our first call was to guess if something would float or sink. Aunty made four columns on the board — Float, Sink, (Partly) Submerge and Mix. Later she added another — Don’t know. She told us she would show us an object and we had to guess if it would float or sink. We started with a ‘chana’. Most people thought it would sink, but it floated. Then she showed us candle wax. We again thought it would sink, but it too floated. She showed us a bigger piece of candle — it too, floated. We tried many things — always guessing first. Plastic matches — we thought they would float, and initially they did. Then they sank in a very interesting way — they were standing on their heads at the bottom of the jar. Rafia Aunty asked if wooden matches would do the same. We thought so, but they floated flat on top of the water. We tried ‘rai’ — we thought it would float and it did. We got a piece of cork. Some said it would float, some said it would sink. It submerged only partly, with a part sticking out of the water. Yes, the cork was floating! A stone sank, just as we predicted it would. A ball of ‘aata’ sank as we thought it would. Some of us didn’t vote all the time — so got counted in the ‘Don’t Know’ column. Some of us kept wanting to change our guesses — but Aunty disallowed that. We had to think carefully before predicting. Then Aunty got a soda bottle. She asked us to guess if raisins would float or sink in soda water. Most of us thought they would sink, some thought they would float. When she put the raisins in, it was amazing. At first the raisins sank to the bottom. Then sloooowly… one raisin started rising and floated to the top. Another joined it. Then they sank back to the bottom. This kept happening. At one point a raisin went only two thirds of the way down and then floated back up. Another time, two raisins were joined. They floated up together. Then one fell off and sank back. Aunty asked us to guess why this was happening. Mariam, Thasneem and Safwan gave explanations. Safwan said that carbon dioxide in the soda water was getting into the raisins and making them float. Well, actually the carbon dioxide was in tiny bubbles that got stuck to the rough surface of the raisins, making them rise up. Then on top, the air bubbles would burst and the raisins would sank back. Hmm… wonder why the air bubbles burst when the raisins came to the top. 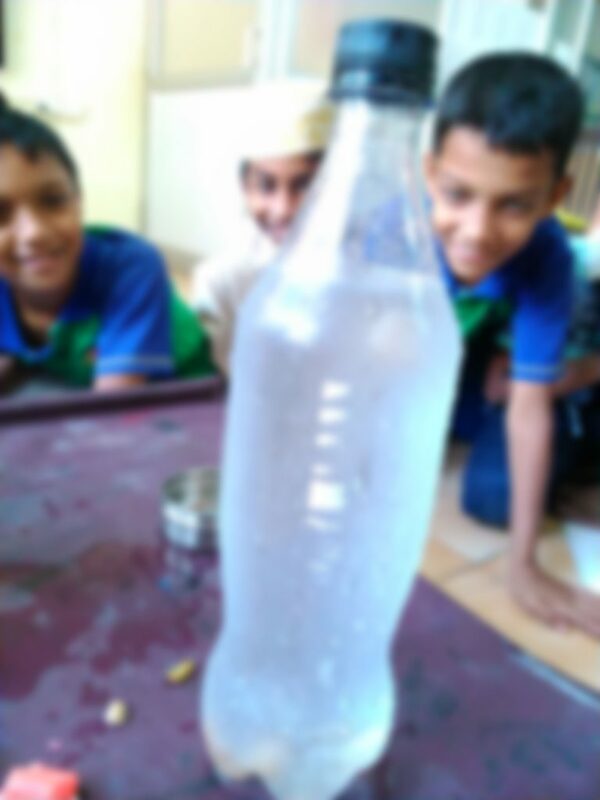 Later Abdullah did this experiment at home and made a video. Then Aunty asked us to guess what would happen to a ‘katori’. Majid smartly asked, “Which way will you put the katori in the water?” First Aunty put it with the open side up. It floated. Then Aunty put it upside down in the water. The katori did a flip, filled with water and promptly sank to the bottom. Aahil guessed that the bottom of the katori was heavier so if it was a little tilted it flipped. As it flipped it filled with water and sank. Then we tried liquids. First Aunty asked us about honey. Most of us knew it would sink — we had seen that already in an Elementary experiment. And we knew oil would float. Then we tried a cleansing solution. We thought it would float like soap. First it floated on top. Then it slowly sank like a blob. After that we guessed that sunscreen would sink. But it floated on the top like a blob. Then we tried curd. Most of us thought it would sink. And it did. Then it started breaking up into white bits which spread inside the water. Then Aunty got an egg. She asked to guess what it would do. We guessed it would sink. And it did sink. Then Rafia Aunty started adding loads of salt to the water and stirring it. Slowly the egg started rising. Aneesa Aunty asked us to guess why. Remembering the raisins in soda Majid hazarded a wild guess — maybe there was carbon dioxide in salt — which stuck to the egg and made it float. Mariam said salt water always made things float: it is easier to swim in sea water than in fresh water. Aunty asked us, “Why do things sink or float?” Someone said, “Things that have air in them float and things that have no air, sink.” But Aunty reminded us that when we had put the brick in water, air bubbles had come out — meaning there was air inside the brick — but the brick still sank. Mariam then answered, “Because they are lighter or heavier than water.” Aunty explained that while the egg was heavier than water, it sank. But salt water is heavier than the egg, so the egg started rising as more and more salt got added to the water. We went on to our workbook. We had to think how we could make a stone float and an air balloon sink in water. In the afternoon, a few of us saw a clip where an airship called the Hindenburg went up in flames while landing. And another where the Challenger rocket burst. Both used hydrogen which burns very easily. Some children have internalised the need to make accurate scientific drawings and they tried to follow the instructions. They’ve added a flow direction and some labels. This chapter had some thought provoking questions to which children gave original and varied responses. They had interesting ideas on how to make a river flow in the opposite direction — from outlandish ones like dropping a giant fish, blocking a mountain, making the land slope the other way, to building a wall in the middle or blowing air at it. 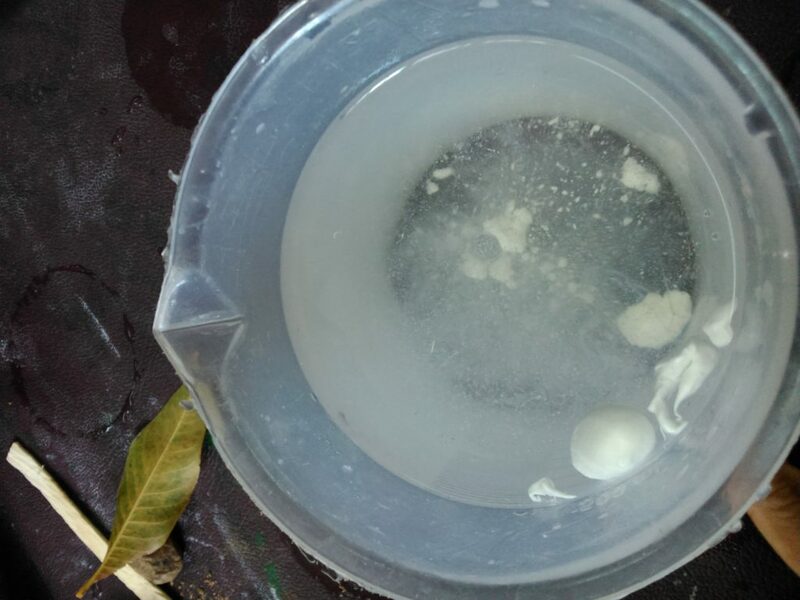 To make a stone float on water — “put salt in water”, “tie it to a thermocol”,”shape it like a boat”, “put it in a balloon” and “blow air under it”. Each one was advised to go try their solution to see if it works. The corresponding question on making a balloon sink was quite predictable — put something heavy inside it. I guess they could relate better to that one possibly having experimented with it earlier. On our Open Day in March students put up experiment tables and demoed some of these activities. More on ‘Fun with water!’ in the next two posts.